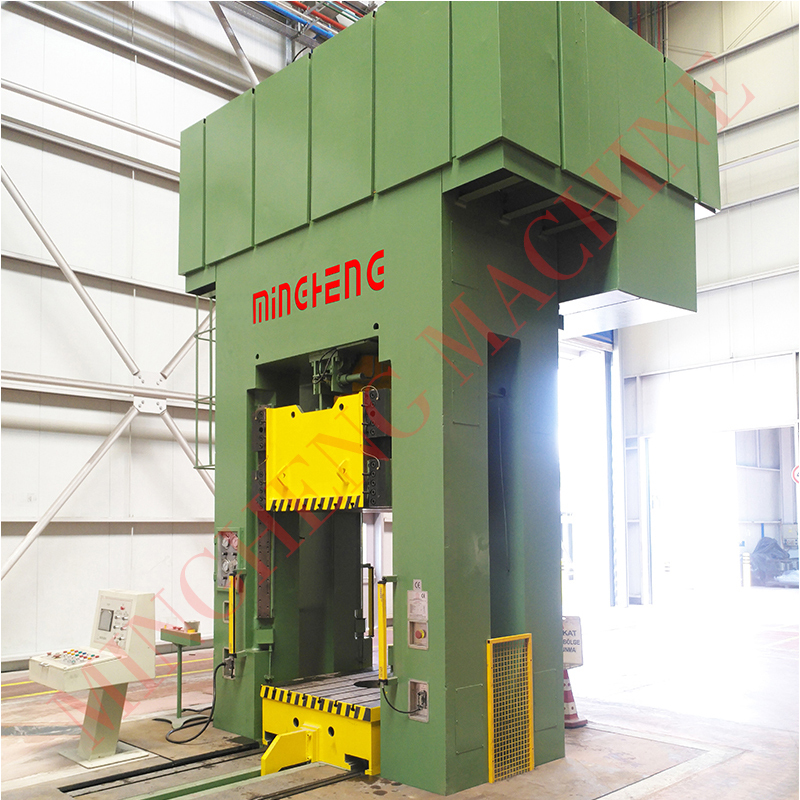 YMH Series Four-Column and integrated frame Hydraulic Pressing Machine is designed and used for metal material tension, pipe bending, pipe fitting press forming, metal sheet stretching and pulling. It is used for elbow and tee fittings hot forging production, especially for large size tee and elbow fittings with extra thickness, which is not suitable for cold forming production. appearance and work stably and accurately. 2、Advanced hydraulic system adopts variable capacity pump, providing high pressure resistance, high velocity, lower noise and energy saving. 3. Cartridge valve and proportional valve used in the hydraulic system makes the oil circuit more simple, reliable and, less malfunction and easy to maintain. and safe to operate, adjust and maintain. 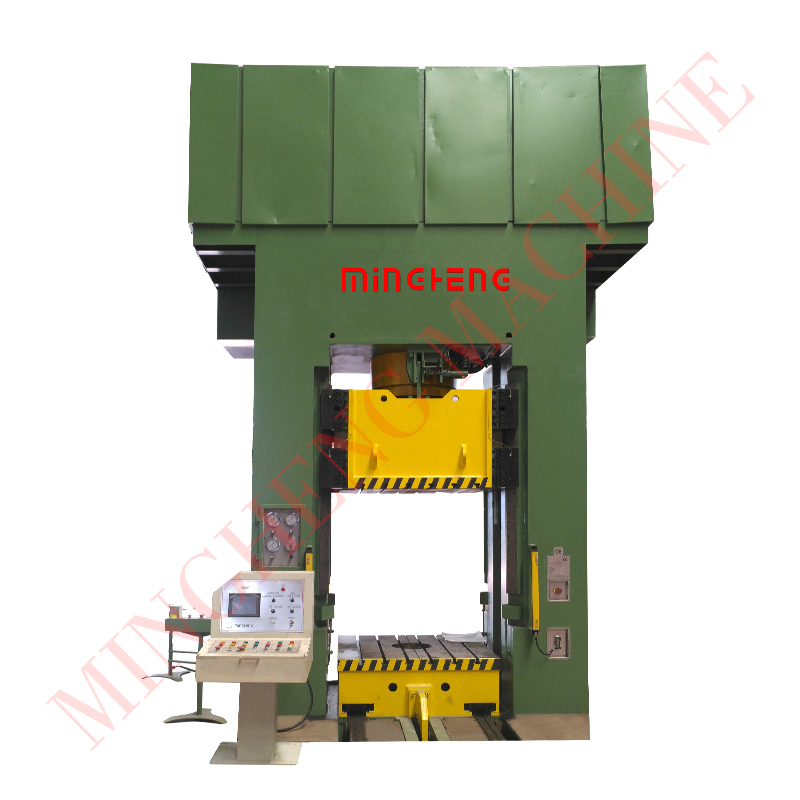 5、This press is equipped with special devices such as Slide Stop which can stop the platen at any point within stroke, Electrically Interlocked Safety Block, and so on. 6、 Movable working table is available for various stage of die production. 7、 safety auto lock for hydraulic cylinder to ensure 100% safety environment. 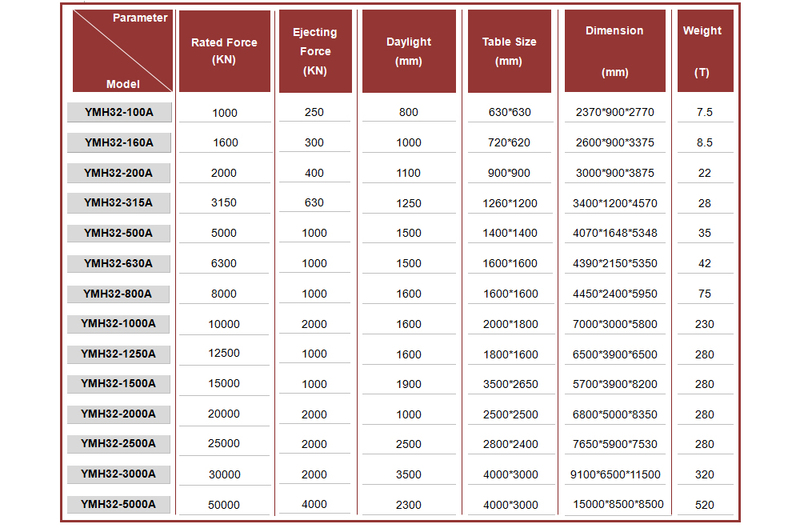 8、 The following operation can be easily performed with operation panel by use of Electric-Hydraulic Servomechanism. a、The set-up of Upper and Lower Limit of Slide. b、The set-up of Ascending and Descending speed. c、 The adjustment of Lower Limit position by use of dial. Heavy thickness and large diameter elbows, tees with both cold forming and hot forming.